Medatech started as a two men operation in 1993. Our two main goals upon starting the company were to be focused and to serve satisfied customers. The focus principle was realized through full focus In the Priority system and the satisfaction principle was realized with our unique methodology that led to successful projects and customer satisfaction. Medatech addressed both goals allowing us to expand our business rapidly over the years. 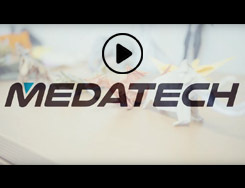 Today Medatech serves over 1,000 customers in a variety of verticals. In order to support unique requirements of niche businesses Medatech has developed special add-on modules that enhance Priority’s built-in functionality, expanding those third party modules and delivering better solutions to our customers has been our trademark over the years. Some of the verticals we are currently supporting include different types of manufacturing (Plastics, Chemicals, Metal Processing, Hi-Tech, Pharmaceutical, and Medical Devices etc. ), Distribution, Customer Service, Project Management, Construction and other types of businesses. In order to provide a better level of service to our rapidly growing install base, Medatech also functions as a Single Point of Contact organization. We provide best of breed third party solutions (BI, MES, Mobile, WEB Applications etc.) and we also cater for infrastructure and related technical support issues (System Admin, DBA etc.). 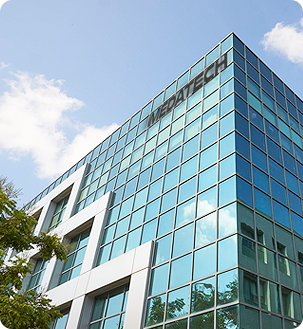 MedaTech has two offices in Israel and subsidiaries in the UK, Australia and the USA. We are fully committed to maintain the outstanding level of service that has been a key factor in our continuous success. Medatech is also constantly looking to grow in new territories and by offering new products and expanding it’s offerings to the marketplace. Medatech is ISO 9001 compliant since 2006. Providing creative, inclusive solutions for the company’s clients in the domain of Management Information Systems (MIS), with a special emphasis on service excellence, highly professional skills, and a long term commitment to customers and their needs. Medatech serves over 1,000 customers that enjoy the benefits of the experience that Medatech gained in implementing Priority since 1993.